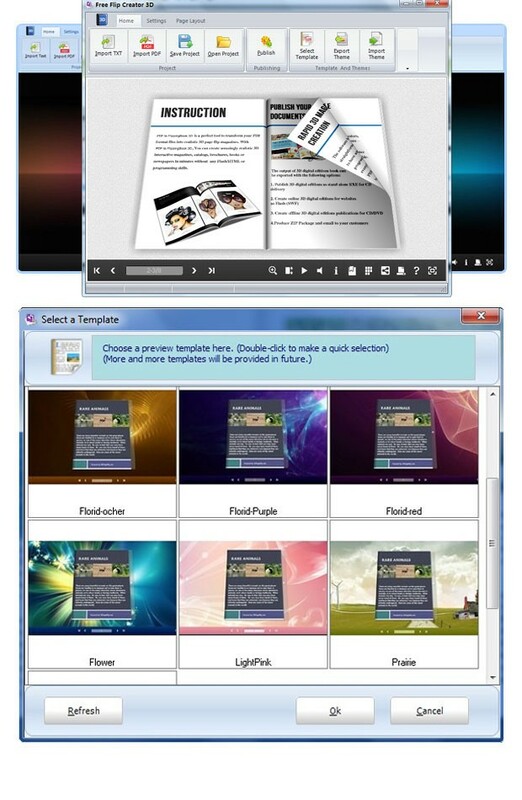 Free e-Magazine Creator 3D is an flipping book publishing software that allows you to convert text documents into Flash page flip digital publications. It is a publishing solution to create interactive page-turning publications: FlipBooks. It's the ideal solution for those who wish to embed a book, magazine, catalog, newspaper, portfolio or any other kind of document into a website or blog. The flippingbook conversion can be done in a few steps with Free e-Magazine Creator 3D. With a simple user interface you can create a highquality digital edition out of print data. Once created, you can embed your flipping book collection, download them or share them on social networking websites such as Facebook. Free e-Magazine Creator 3D is the perfect tool for all claims - equally wether it is an ePaper, an eBrochure or an eCatalog. Links, multimedia video or audio content and animations are also supported, such as design modifications from company specifications.